Great Ocean and Diamond Head View !! Luxurious Yet Affordable!! 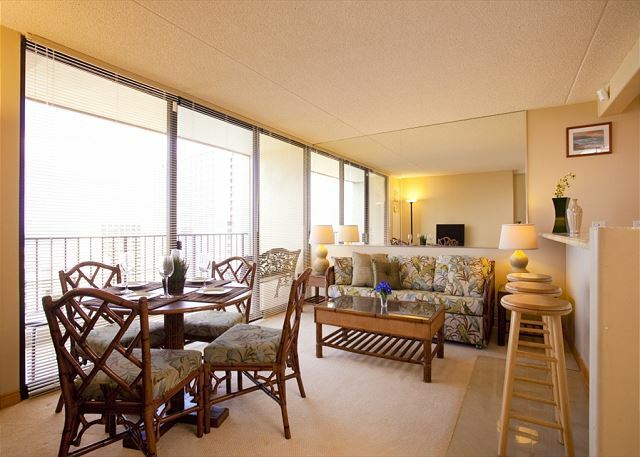 Beautifully appointed One bedroom/One bath condo at AAA 3- Diamond Hotel Condo at affordable price on the high floor with great Ocean and Diamond Head View. 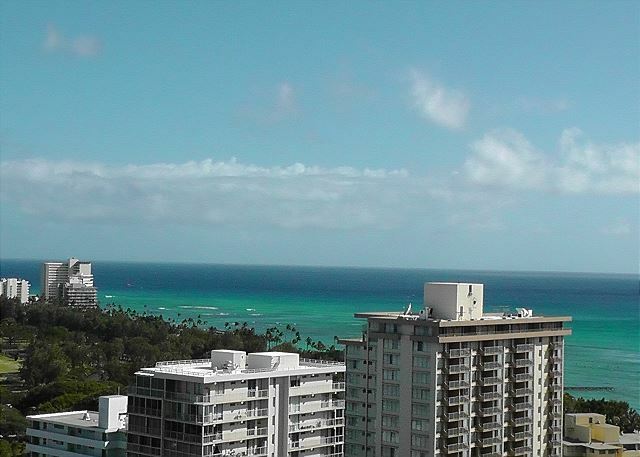 Location was good, diamond head end of Waikiki and well off noisy Kuhio Ave. A/C worked well. Great DH view and views of ocean between buildings. 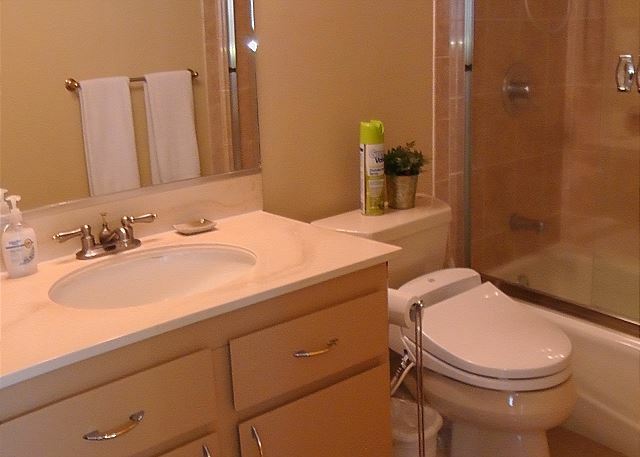 Condo was in good shape overall and kitchen adequately supplied. Only downside of our stay was the refrigerator (which was probably pretty old given that it had "decorative" contact paper on the front) started leaking condensation from freezer and not cooling adequately two days after we got there (Tue). By Saturday our half&half had curdled, our beer wasn't very cold, and the motor started making a lot of noise. We emailed the company and they sent somebody by Sunday. Motor was quiet, but freezing and cooling and condensation issues remained. They said they would replace the unit Monday but we never heard from them again; however we were checking out Tuesday. Not sure if this was a first time occurance. If so, then bad luck of timing. However, if there were ongoing issues with frig, probably should have been replaced before. I enjoyed staying in this property. The location is very good for access beaches plus good view for diamond mountain and ocean. 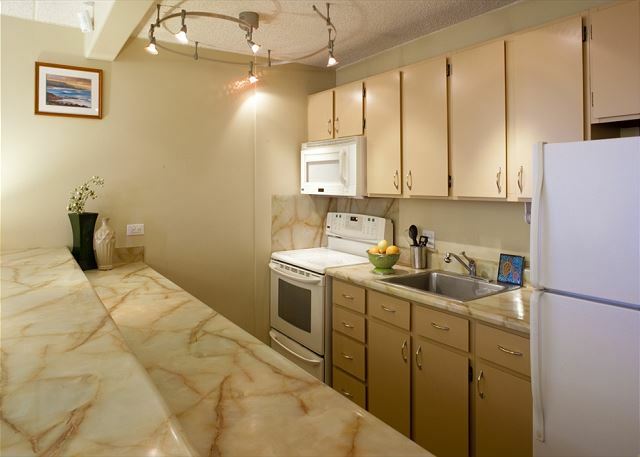 The unit is well maintained equipped with sufficient kitchen stuff. The host responded request quickly. The instruction is clear. Was very pleased to see that rhe worn rugs had been replaced. Made our stay much more pleasant. 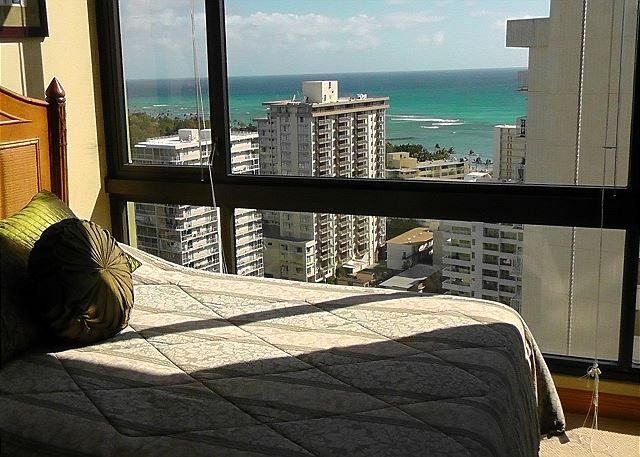 Have rented for almost 20 years in Oahu during January and February. Will return in June for a short visit and will stay here again. Had reported rug was worn and filthy and worse his year. Cleaned condo daily with items I bought first year. Gave heavy cleaning last day, took refrig apart, micro, stove, washed floors, scrubbed tub, floors, even washed towels. Yet, the cleaning company told Kaina condo was dirty, and they were going to keep part our deposit. Ended up giving it back, but still upset and don't know why the cleaners said this. Also, what are cleaners paid to do? Will take pictures in June and trust this will not happen again. Would ask that Kaina makes sure there our cleaning pads for floors and Windex. Also, very little directions for condo in English. Note: fee for cleaning should be reduced due to condition of carpet.